RCPW carries a huge selection of genuine Husqvarna parts and components for your lawn mower, riding mower and chainsaw repairs. We're proud to be a leading provider of quality replacement Husqvarna parts and accessories online. With over 1.2 million parts available to order on our website, our inventory and customer service speaks for itself when it comes to finding the right part to finish your repair. Enter your part number in the search box below or use our free parts lookup to find the perfect replacement component to get your repair on its way. If you can't find the part number you're looking for to fix your Husqvarna lawn mower, parts staff is waiting to take your call at 800-937-7279. We can help you fix your mower with the right parts at the right price today. Not sure what you're looking for? 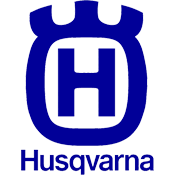 Browse all genuine Husqvarna parts here.